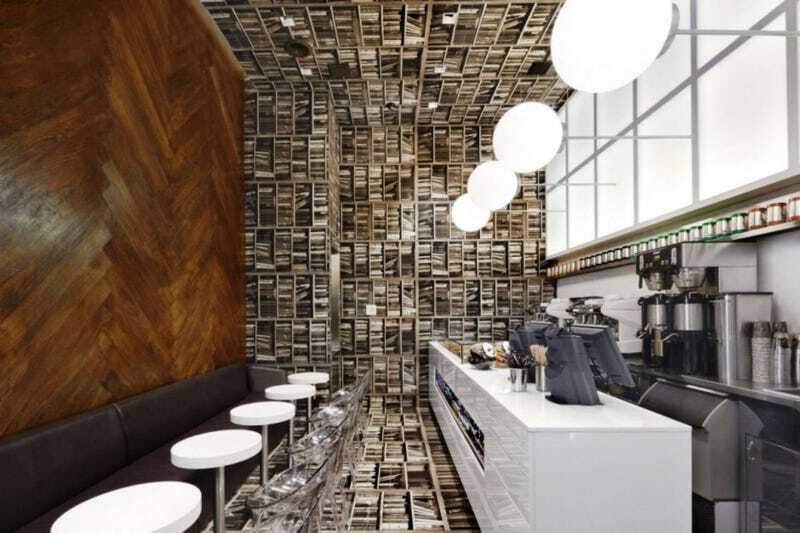 D'Espresso was a neat coffee shop on 317 Madison Avenue, New York, that had its walls, ceiling, and floor turned 90 degrees. It makes me sightly dizzy when I look at the photo. Maybe that's why it does not exist anymore.